It wasn’t Hurricane Florence or Harvey. We’re not the Carolinas or Houston. We did not get 30 or 40 inches of rain, over several days. 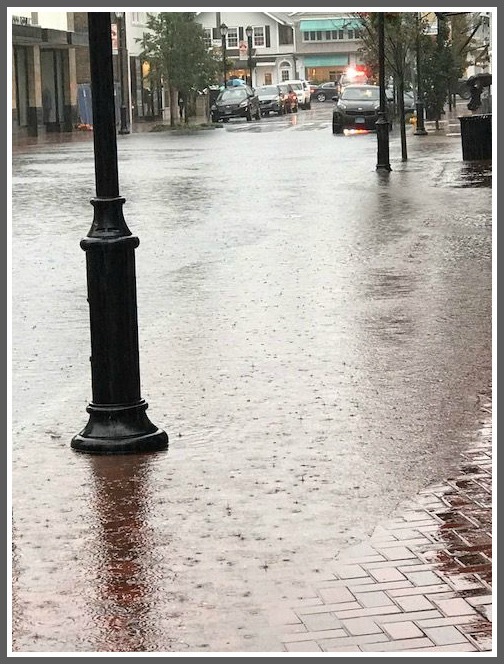 But the few inches that fell today — in a torrent, from 2 to 6 p.m. — caused havoc throughout town. 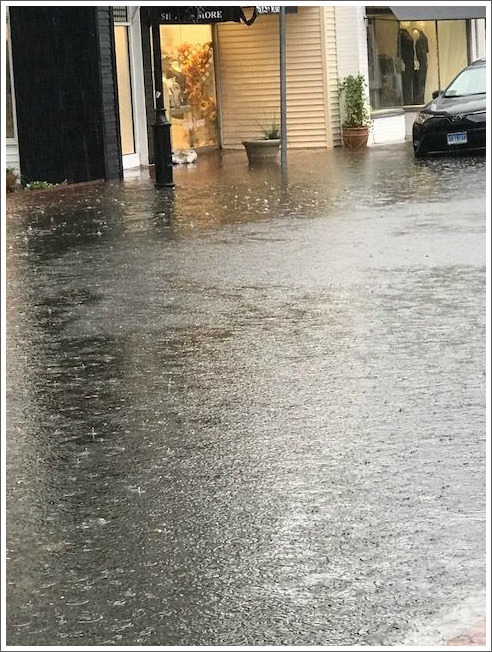 If you were out in it — on the jam-packed Post Road, or side streets that turned into raging rivers — you know what it was like. 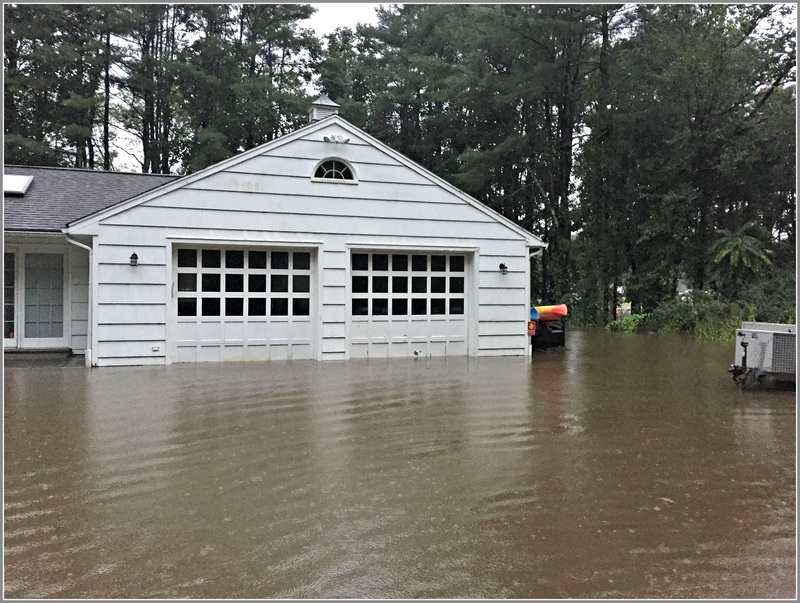 If you stayed dry inside — and hopefully your basement is still okay — here’s what you missed. This entry was posted in Downtown, Pic of the Day, Weather. Bookmark the permalink. 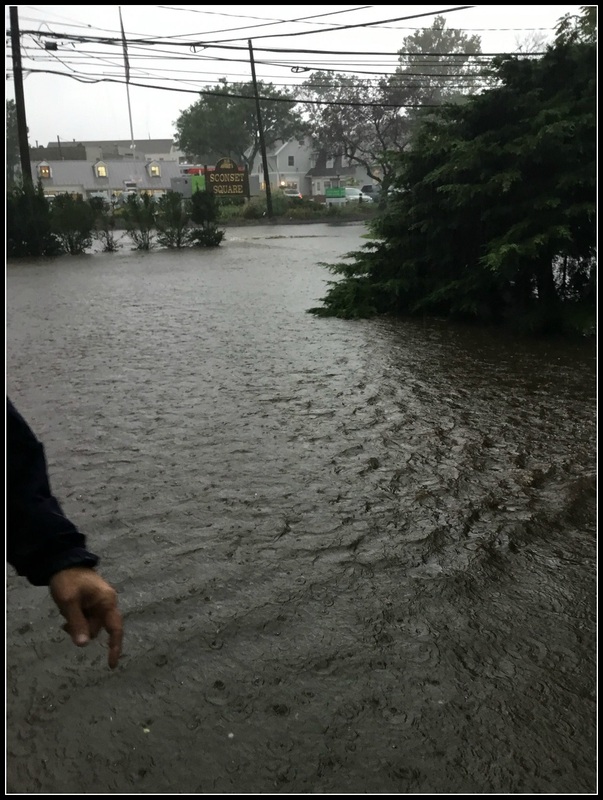 My building at across from DWR (Post Road) got totally flooded… Dead Mans Brook was breached. And, it might just be the Shiraz talking here. These flood areas have flooded before, yeah? Maybe (and here’s the crazy part) someone could think about doing something about the drainage in those areas, like, maybe, before they flood again? They’ve drastically improved the drains in several areas, including the South Compo RR Underpass. 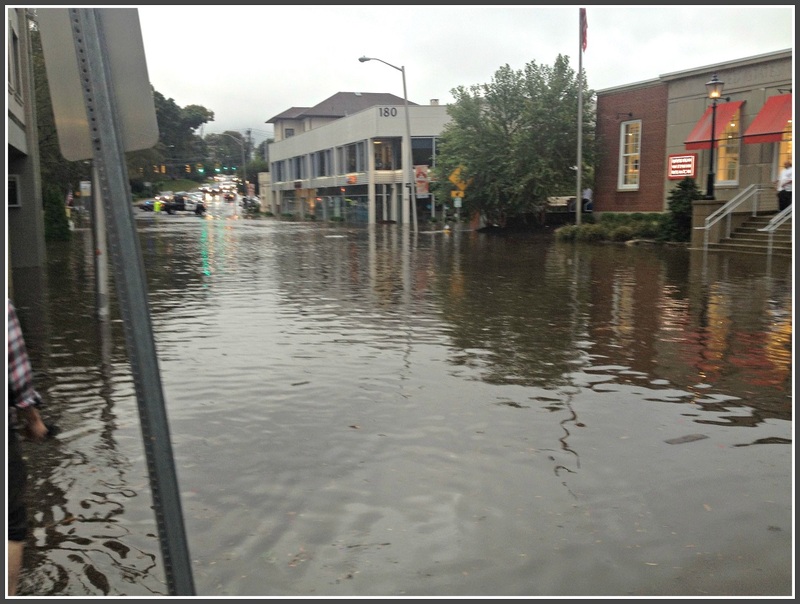 It used to flood in normal rains, now it takes a deluge of an order of magnitude much larger. One problem is that heavy rains also wash debris into the road and clogs the drains. We saw this with the house under construction in front of the MinuteMan statue tonight, with so much runoff flooded into the roadway. Holy cow! 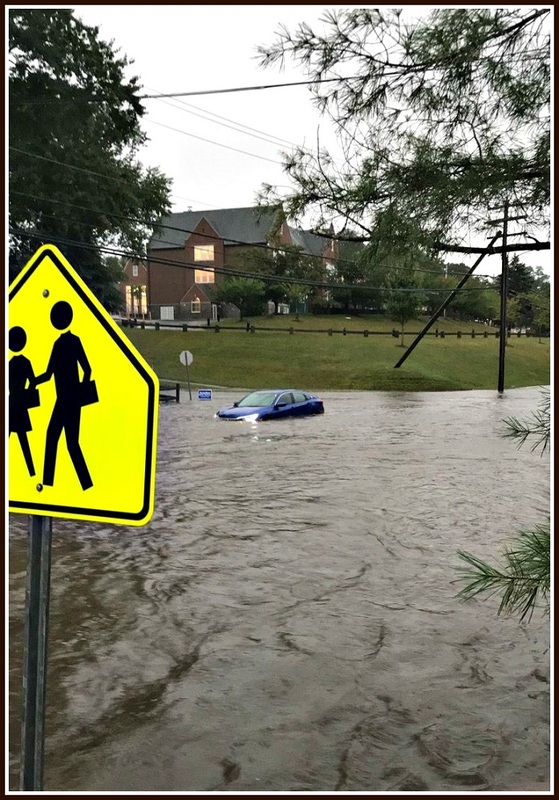 Has that intersection by Greens Farms School flooded like that before? And the Post Road by the old Post Office? I just don’t recall seeing floods like that before? Yes Sir Westport 7.32 inches. 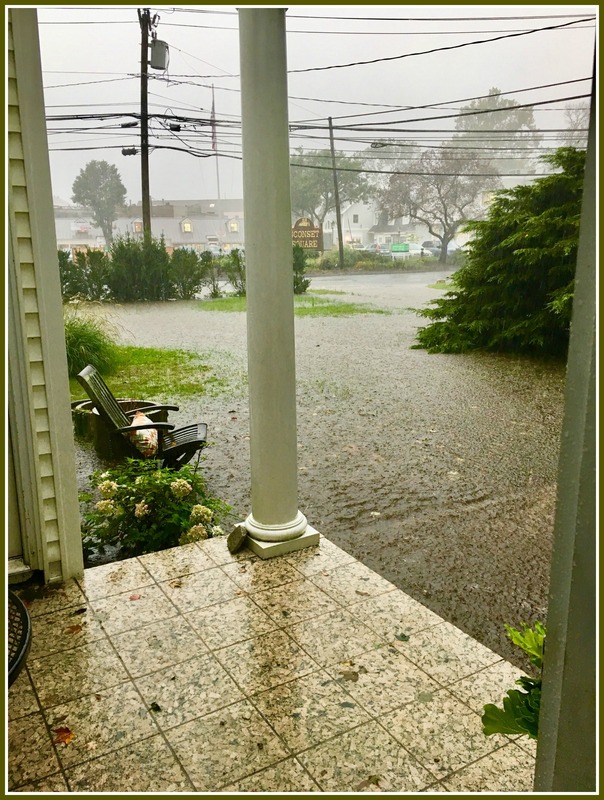 It was a deluge for Fairfield County…. I’m over here Norwalk exit 16 I-95 was closed. Then the closure went all the way back to exit 19. Roads were raging rivers. Streams became rivers. Stamford, Westport, Bridgeport, Fairfield Fire Departments were super busy rescuing people and using boats. This storm overwhelmed the drainage system all over Fairfield County and a good chunk of the state. What has happened to all the drainage and sewer projects that cost a fortune? I remember June of 72 when it rained for 29 days straight and the flooding wasn’t as bad as this one day. Something is definitely wrong. Hello DPW! I think some explanation is in order. Wow. This is hard to believe. I have to agree with Seth Goltzer. Yeah, we got rain today, but it was not a hurricane. 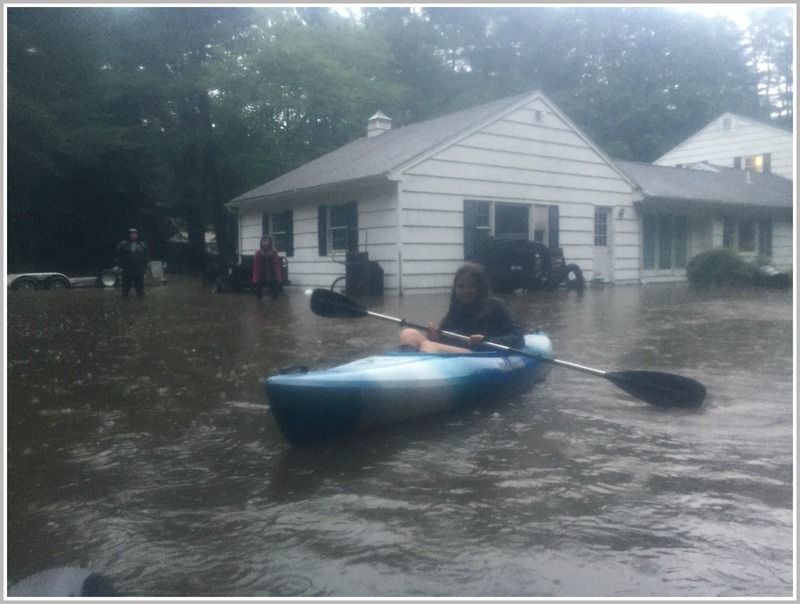 And there’s not much you can do about in the downtown area – except never, ever forget that when FEMA labels your neighborhood a flash flood zone, it’s for real. I heard we received the most rainfall in the area at 7.5 inches?